Egypt has created a new high-powered human rights watchdog agency, but its primary mission isn’t to protect Egyptians from violations. Instead, the body is foremost aimed at protecting the government from allegations of rights abuses and defending it on the international stage. The new body reflects an attitude of the state under President Abdel-Fattah el-Sissi that sees criticism over human rights as intended to undermine the government and cause instability at a time when it is facing militant threats and trying to rebuild a battered economy. Officials have already started a campaign against “false rumours” and “fake news” and have in some cases detained those who speak out. At the same time, the government has sought to redefine or broaden human rights, declaring new “rights” to fight terrorism and protect the state. Critics see that as an attempt to legitimize and draw international attention away from alleged abuses by security forces. “Human rights cannot be divided, nor can some be given priorities over others,” said Nasser Amin, a prominent rights lawyer. The mission of the body, according to a Cabinet statement, is to “respond to claims” made against Egypt’s human rights record and formulate a “unified Egyptian vision” to be stated in regional and international forums. One key role will be to deal with the UN Human Rights Council, which is to review the situation in Egypt in late 2019. “This is a body that will seek to improve the image of the country, not actual human rights,” said Gamal Eid, a prominent rights lawyer. 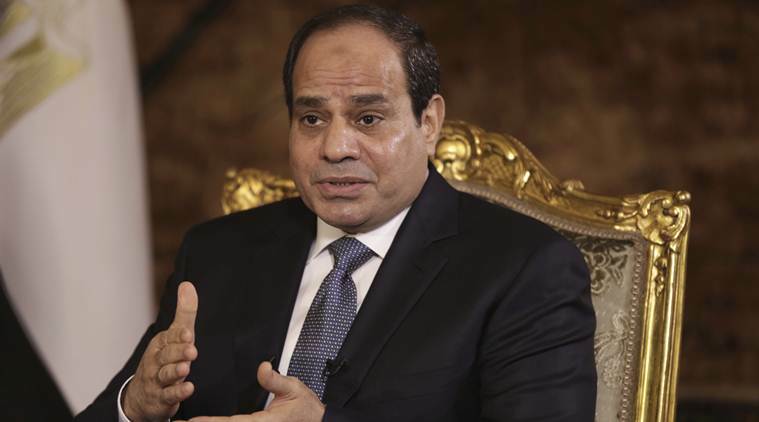 Egypt’s human rights record is being scrutinized more closely than at any time in decades, chiefly because of the large-scale crackdown that followed the 2013 ouster by the military, then led by el-Sissi, of an Islamist president whose year in office proved divisive. Authorities have jailed thousands of Islamists, along with secular activists, silenced critics in the media and slapped travel bans on dozens of activists. Human Rights Watch said in September that Egypt’s crackdown on freedom of expression has reached alarming new levels. In a report last week, the group said at least 40 rights lawyers and political activists have been arrested since October. The government has dismissed such reports, saying they are based on misinformation. Eid and other rights campaigners say the new body is a reincarnation of a near identical one that was in charge of the human rights issue from the 1980s until 2004, when it was dissolved. In 2004, the government created the National Council for Human Rights, or NCHR, a quasi-state body that enjoys a margin of freedom and voices some criticism of officials and police. That year also saw the government start introducing a series of modest reforms that allowed a measure of openness for opposition forces, believed by many to have partially paved the way for the 2011 pro-democracy uprising that ousted autocrat Hosni Mubarak. “I imagine there is a faction within the government that wants to take the country completely back to pre-2004,” said Amin. The new commission reflects that faction’s “displeasure over the government’s inability to fully control the NCHR,” he said. El-Sissi, in office since 2014, says his priorities are security and reviving the economy, focusing on the fight against militants and introducing ambitious reforms to overhaul the economy. He has publicly expressed his contempt for politics and his disapproval of the 2011 uprising, while projecting an image of himself as a saviour or a patriotic, God-fearing leader determined to make his country stable and prosperous. To him, the right to heath care, suitable housing and women’s rights are as important as freedom of speech and other rights. He often points to the chaos in Syria, Yemen and Libya as cautionary tales against abrupt change. “You hear that we are against human rights, that we are dictatorial,” he told a gathering of young people this month, addressing non-Egyptian participants. “I want to be on the record, before God Almighty and the people of Egypt and the guests here, that safeguarding nations is a human right,” he said. There are already at least five other state or parliamentary bodies with mandates on human rights. These are expected to continue, while the new commission takes on the task of responding to allegations on Egypt’s rights record. Bahieddin Hassan, a prominent rights campaigner who lives in exile in Paris, believes the creation of a new body to address international criticism is rooted in fears the US Congress in the future may seek cuts in Washington’s military aid to Egypt — running at USD 1.3 billion a year — or that the EU could move to reduce aid or investment. Washington suspended $195 million in military aid to Egypt in 2017 over its human rights record, though the money was released in July.